In an age where women need each other the most, we are our own fiercest competitors. In 1997, two young gymnasts enrolled in the youth program at Michigan State University came forward with allegations of sexual assault against Larry Nassar. The survivors were Larissa Boyce, a sixteen-year old gymnast, as well as an anonymous fourteen-year old girl. Both confided in their coach Kathie Klages, who “interrogated” the girls and told them that they were simply misunderstanding Nassar’s intentions. She then alerted Nassar, who tried to explain away his actions at the next appointment. Over the next twenty years, over two hundred reports of sexual assault emerged against Nassar. Had Klages taken the claims against Nassar seriously as early as 1997, over two hundred lives could have been spared the lifelong trauma. Women have the potential to be their own saviours. However, most of us preoccupy ourselves far more with tearing each other down. The female body’s experience in society is uniquely different from the male’s insofar as how it is constantly subjected to scrutiny, alongside being vulnerable to harassment and assault. The media is both a woman’s best friend and worst enemy, with the ability to make women feel beautiful and loved. However, the media only desires a particular kind of woman, one who meets specific expectations regarding her appearance, her social interactions, her romantic life, as well as her career. Many female celebrities have actively spoken out about the unfair scrutiny of women on the media, and causes like Time’s Up and the #MeToo campaign have been integral in providing visibility to women’s experiences. However, the progress is unfortunately only a ripple in the ocean of problems facing women. Vaillancourt highlights one of the most significant underlying causes behind women’s indirect aggression towards each other: competition for other men. From an early age, women internalize the message that the approval of other men is the only premise on which some aspects of their lives can be fulfilled. Women are always convinced to look for their other halves – boyfriends and husbands are not complementary but somehow completing. According to Louis Althusser, the ideological state apparatus are useful in conditioning individuals into normative patterns of behaviour. For females, it is the Barbies stacked neatly next to the Ken dolls with a wedding dress and plastic baby in tow. It is Avril Lavigne’s “Girlfriend” and Taylor Swift’s “You Belong with Me” – belittling the other woman in competition for her lover. It’s humorous and fun, but somewhere in the fine print is the sociological reality that women are conditioned to view one another as competitors. They can’t be friends. Women don’t always like me very much. In high school I learned that the most powerful ammunition women have on one another is rumours. Often, these rumours have something to do with a woman’s interaction and involvement with the opposite gender. It can also be about her appearance, her promiscuity or lack thereof. Women know more than anyone how much it hurts, yet we continue with our standard operating procedure. Men have the “bro code”, which permits them to disguise and apologize for their friends’ most vile acts. Women have no such inherent code of solidarity. Our primal state is territorial and competitive. Any friendships that are forged are the lucky exceptions to a gruelling rule. In 2014, singer Lana Del Rey said in an interview, “For me, the issue of feminism is just not an interesting concept… Whenever people bring up feminism, I’m like, god. I’m just not really that interested.” As a privileged Caucasian woman, it is easy for her to dismiss feminism in a statement, because it has nothing much to offer to her. However, the concept of solidarity exists not only to promote one’s own betterment and interests, but to bring about a collective good that all women can enjoy regardless of their class, race, or magazine covers. On the other hand, Ivanka Trump is quick to tweet her support for the latest women empowerment fad, but continues to stand behind a man against whom allegations of sexual assault are innumerable. In a similar manner she deems it “inappropriate” to question her regarding allegations against her father. For some, women empowerment is all well and good until one actually has to do something about it. 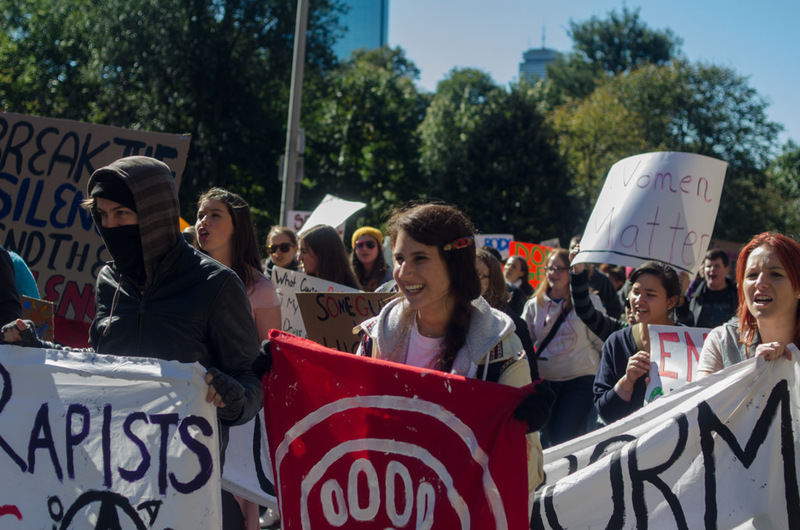 While the conversation surrounding sexual harassment and gender inequality is more alive than ever, the notion of a unified feminist movement is anything but settled. The era of female empowerment is upon us. However, this does not necessarily mean that women are united in the fight for gender equality, for there remain underlying sociological conditions under which women are conditioned to view each other as competition. While women are certainly not the only gender to perpetuate the cycle of gender discrimination, they are in a unique position to give the feminist movement new strength, for women alone have the power to stand together in solidarity as sisters, united for a common cause. Until women end the cycle of indirect aggression, it remains to be seen whether feminism as a unified movement has the power to reach its fullest potential.